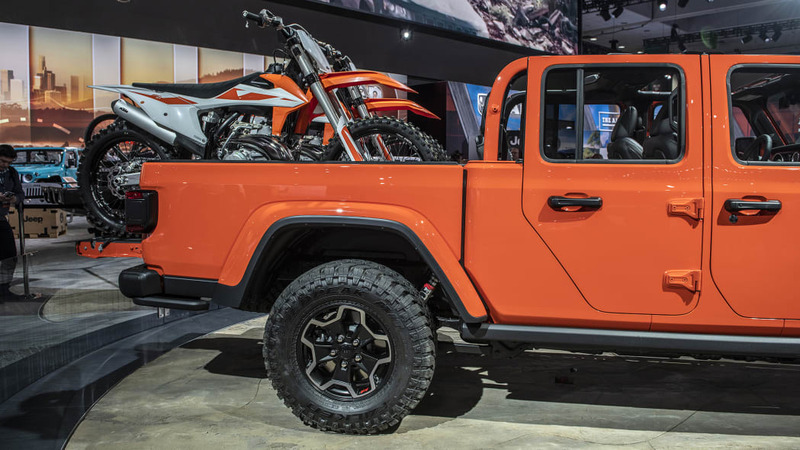 Even though we've all pretty much seen the Jeep Gladiator, it's still exciting to finally see the officially unveiled pickup truck. 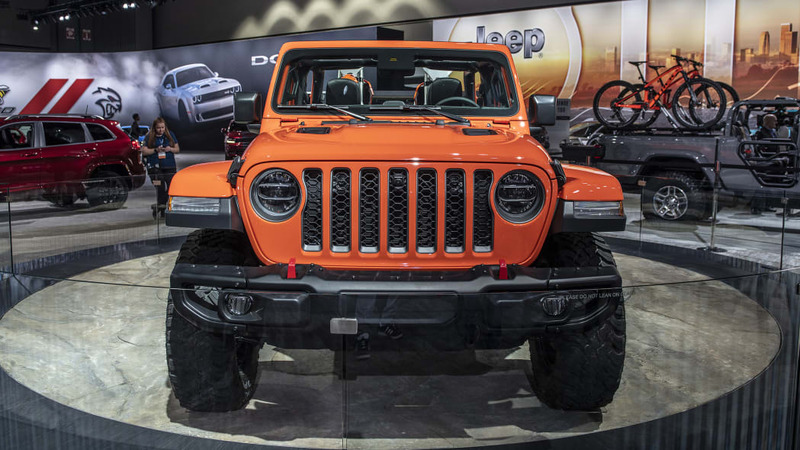 And it does indeed look like a simple Wrangler pickup. 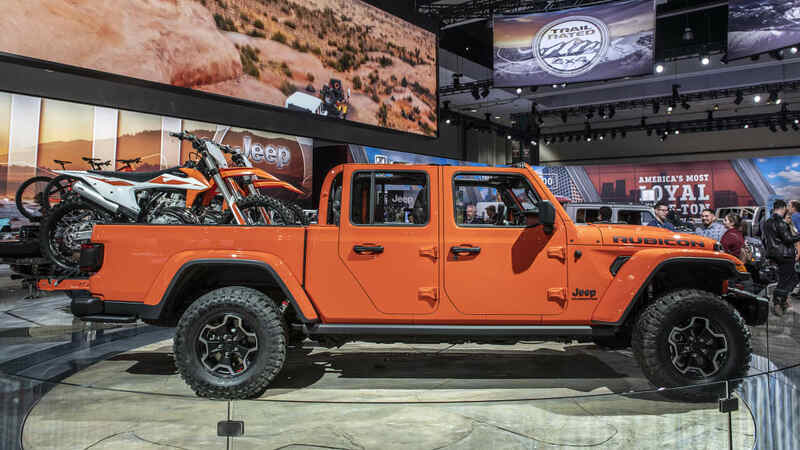 It has fully removable soft and hard tops, doors and a folding windshield. 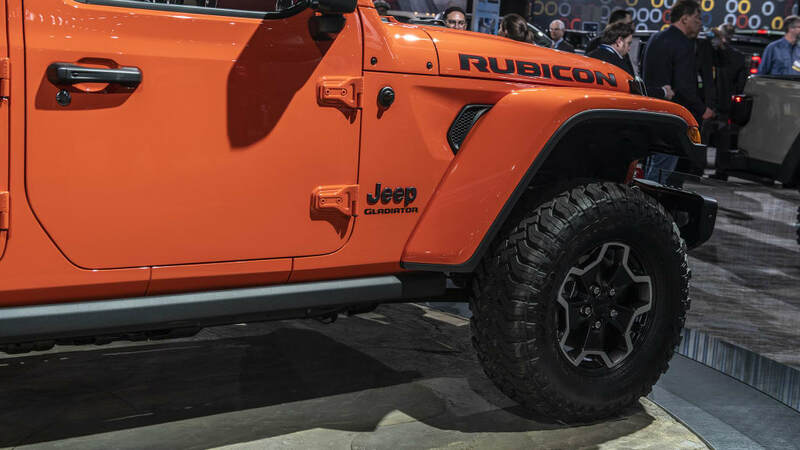 The doors are the same as the Wrangler Unlimited's. 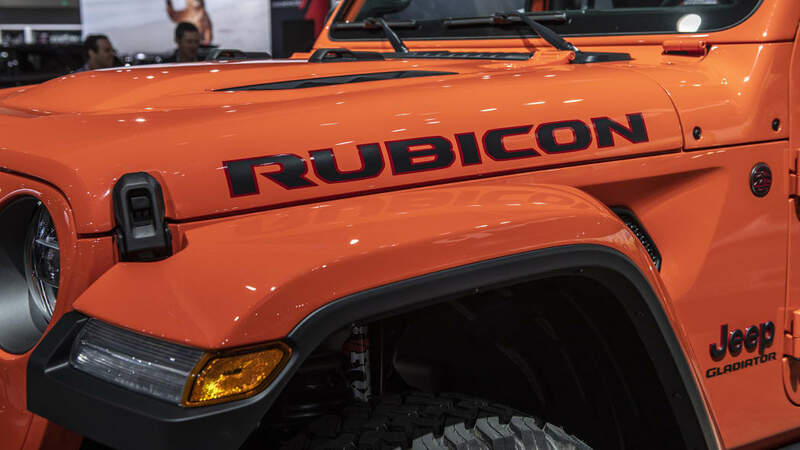 It has round headlights, chunky fender flares and nearly the same interior. 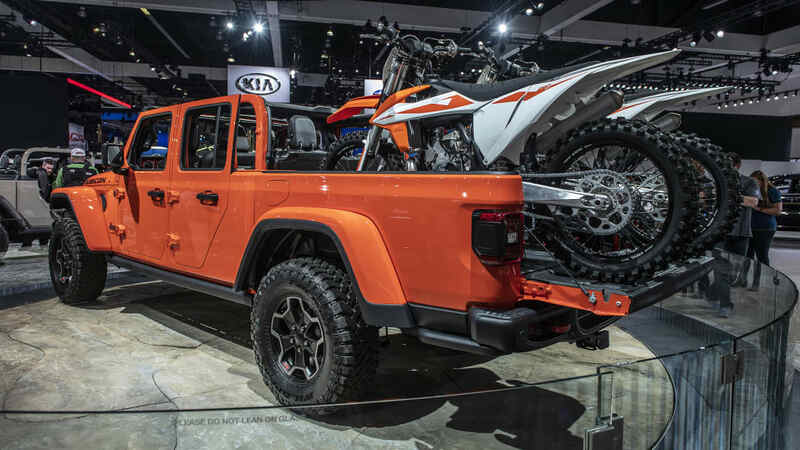 But it's more than that, blending much of the beloved SUV with some unique features for the pickup truck. 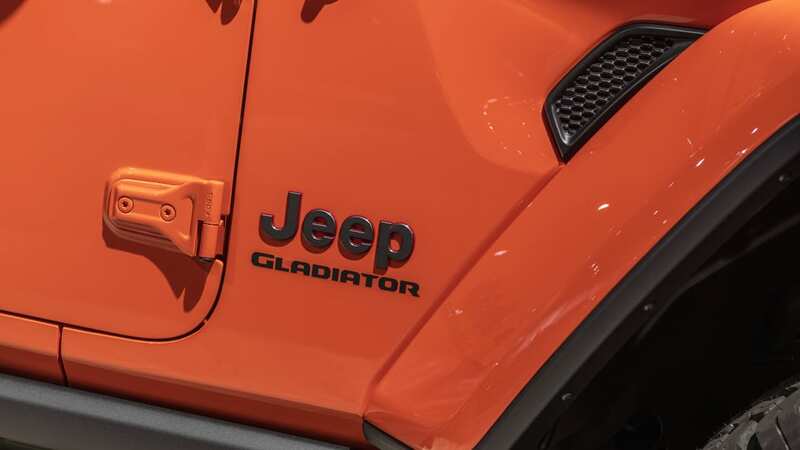 As we touched on earlier in this article, most of the rest of the Gladiator is like the Wrangler. 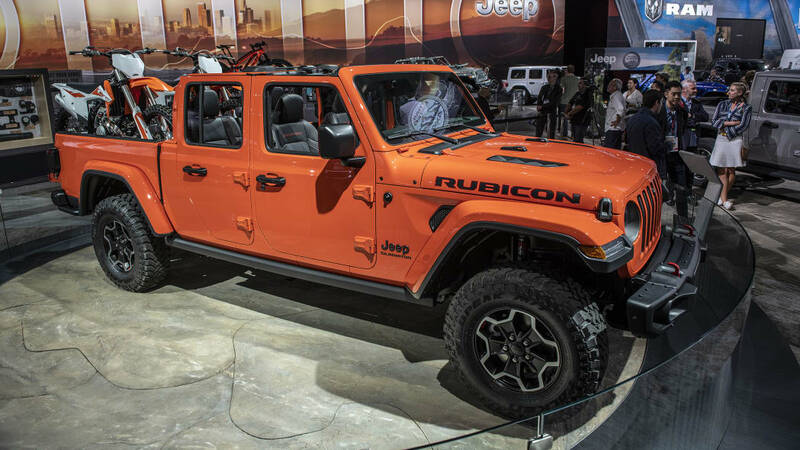 Most of the cab is similar to a Wrangler Unlimited, and the doors are exactly the same. 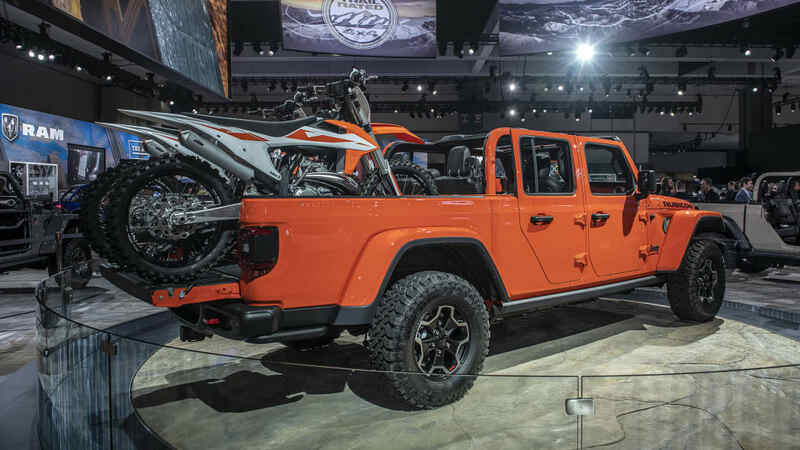 The sport bar, of course, ends right at the back of the rear seats to make space for the bed, and new tops have been created for it, but they have all the functionality of Wrangler tops. The soft roof is standard and can have just the rear window section removed, or everything folded up. 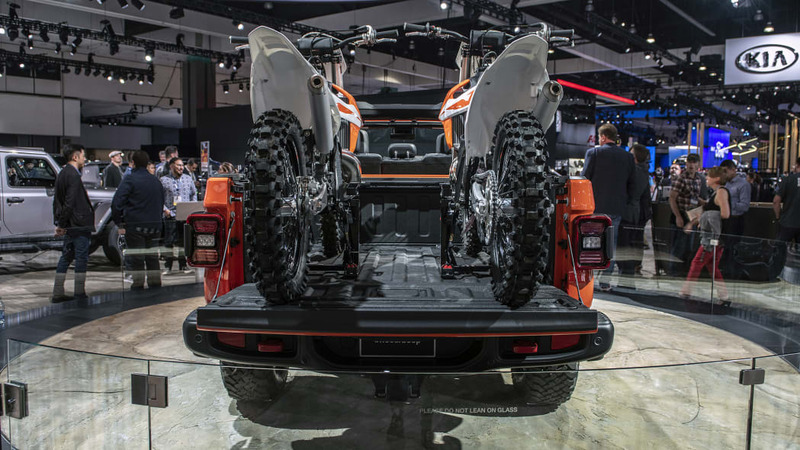 The front half can lift open, too. 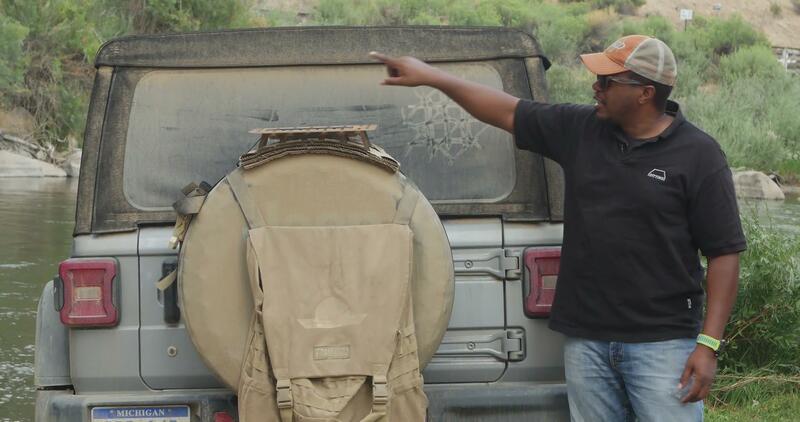 The hard top available is still split into three sections, two T-top-style panels up front and a large back half. 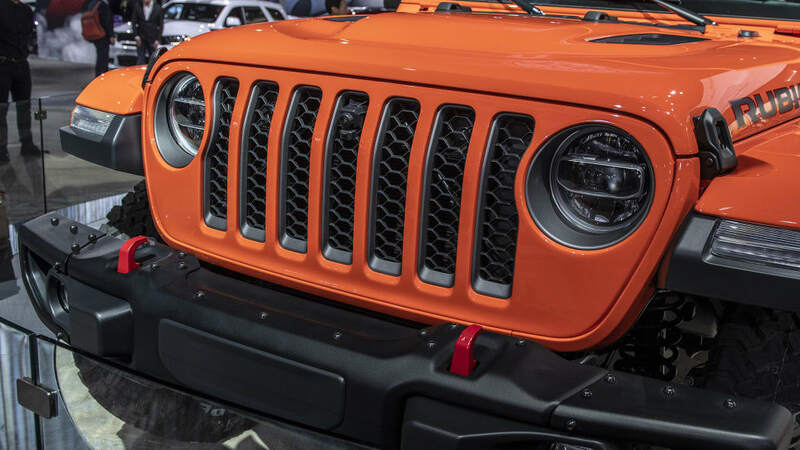 Most of the truck's design is similar to the Wrangler, but the grille has been redesigned with larger openings for better cooling when hauling heavy loads. 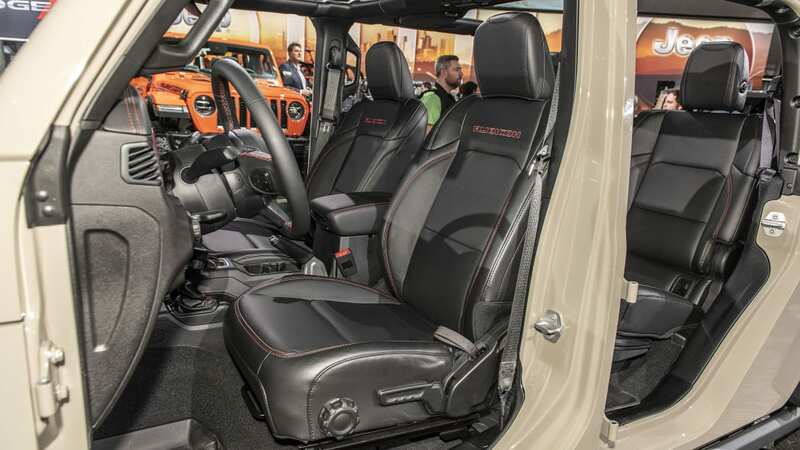 Inside, the rear seats now feature locking storage underneath. There's an optional Bluetooth wireless speaker that can be stored in the back where it stays charged for use anytime and anywhere. 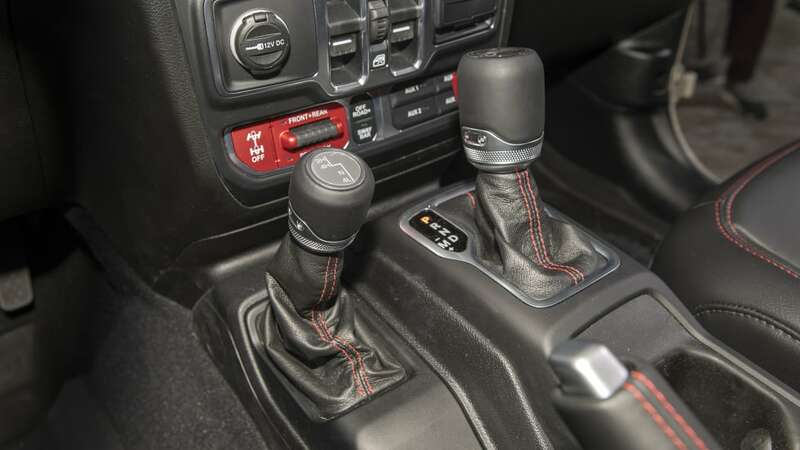 Infotainment starts with a standard 5-inch touchscreen, and 7.4- and 8-inch systems are available that include Apple CarPlay and Android Auto.